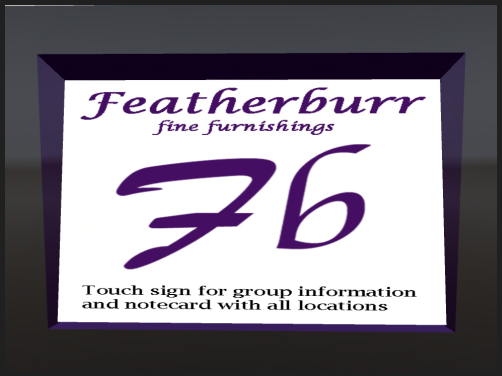 Featherburr is the brandname for furniture (mostly rustic, antique and medieval) rugs, some pottery and a large collection of reproductions of art paintings. 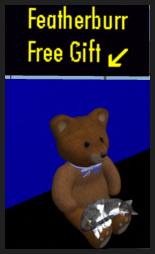 Four! floors of furniture and several gifts for visitors. These sweeties sit on my bed @ my home. 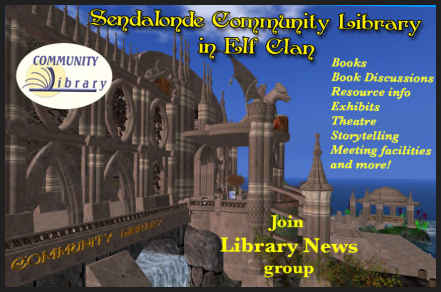 The shop is located on a skyplatform above Tolmire and connected to Sendalonde which is well known for it's huge professional community library , theatre and Art Plaza . 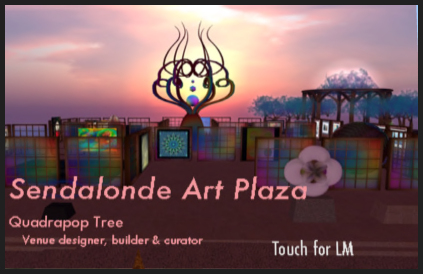 The Art Plaza contains a private collection of creations of the many artists of Inworldz and is curated by quadrapop tree. 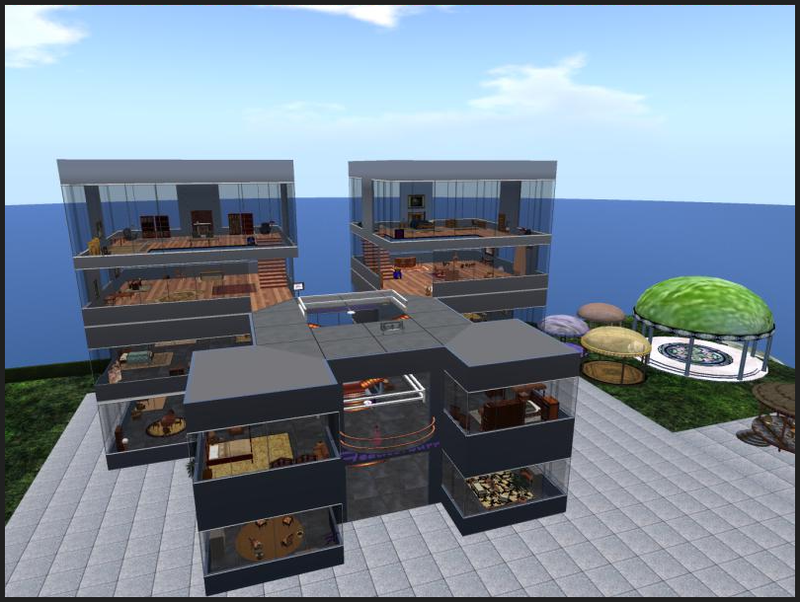 Cheers for both Alexina and Prax for their hard work, their eye for beauty and quality and their generous contribution to the community of Inworldz. So proud to have them and their beautifull regions as part of Elf Clan. Congrats Alexina and Prax !